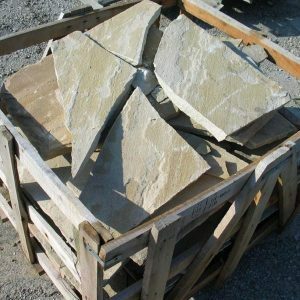 Category: Indian Stone... (Driveway Grade). 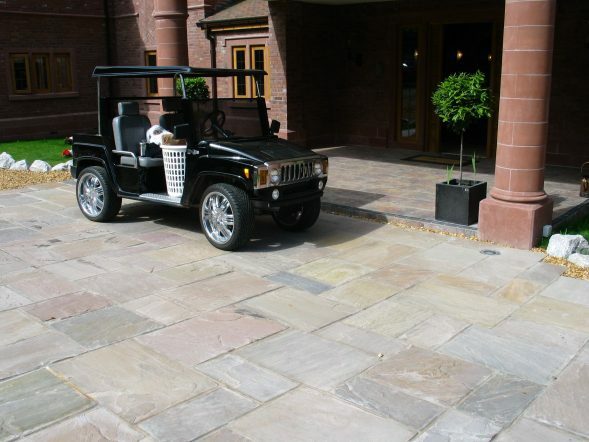 RAJ GREEN Driveway grade paving is a stylish Indian Stone product and the most popular colour on the market. 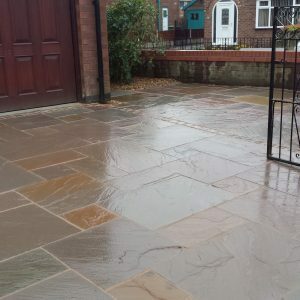 The subtle Raj Green colour complements any surrounding area, and closely resembles reclaimed UK Yorkstone. The colours within Raj Green vary predominantly between green and brown shades. The stone is not all green! 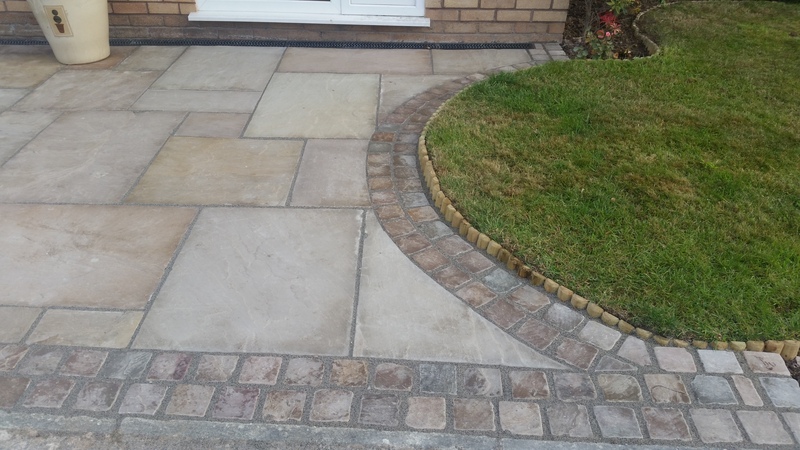 Our Driveway grade range is specifically for use in areas where vehicles will be driven. 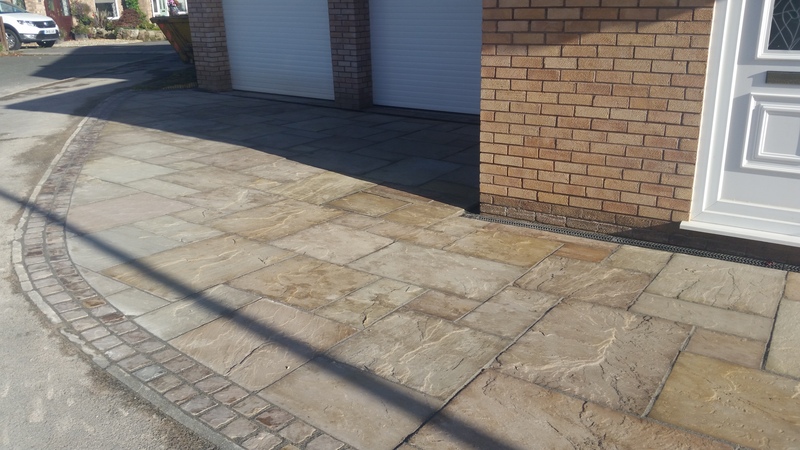 Unlike many suppliers who are selling thinner slabs to meet a lower price, we are able to provide a genuinely superior and more suitable quality whilst still offering an extremely competitive price. 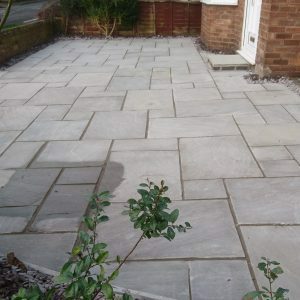 At Paving Traders, we know we have the best prices available so we don’t need to mislead. For help placing an order or advice do not hesitate to contact us. 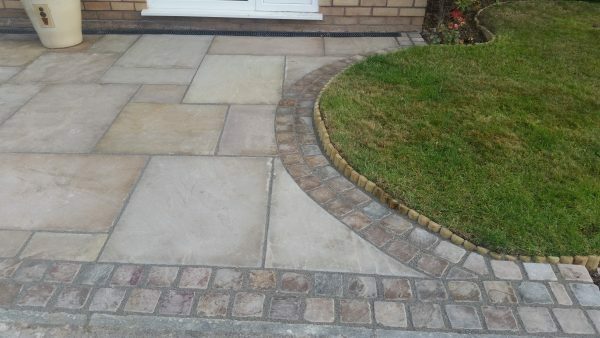 We offer very generous discounts on orders of 500 square metres or more. Buy with confidence all payments are powered by Worldpay.